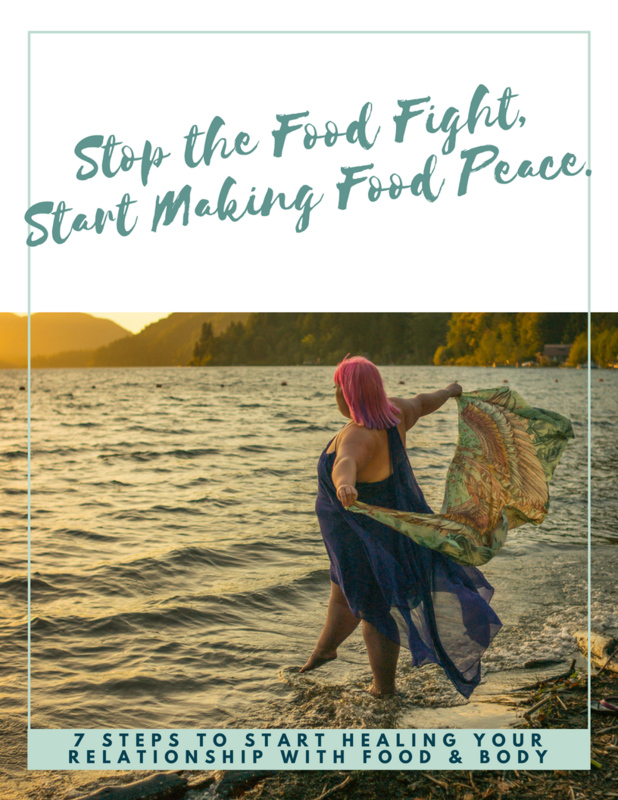 Whether you call it “body positivity,” “non-diet,” “weight-neutral/inclusive” or Health At Every Size (HAES), the idea of shifting the focus away from weight and towards health has become—I hate to say this, but—trendy. It makes sense—no one wants to see themselves as fat-shaming or causing harm, yet there’s a lot that’s misunderstood when it comes to Health At Every Size, even among health professionals. As part of her PhD dissertation, dietitian and researcher Fiona Willer found that while weight-neutral approaches were viewed more positively than weight-centric approaches amongst Australian dietitians, only 37% correctly identified that a weight-neutral approach is not compatible with a weight loss goal. Here are some of the top myths that I often see, and the truths behind them. I’m skeptical of Gwyneth Paltrow as much as the next evidence-based practitioner, and I can’t help but feel my eyes roll as I type the phrase “conscious uncoupling” (it’s actually not a goop original, but a phrase coined by author and family therapist Katherine Woodward Thomas. (Amazon Associates link)) So, I’ll fully admit here that I’m riding the coattails of Gwyneth’s popularity and February being about Valentine’s and love as a way to explore the idea of breaking up with and unlearning old, unhelpful (and possibly harmful) ideas in order to make way for new ones. TW/CW: Almost all of the links included in this post contain fatphobic/weight-centric messaging and/or images, the “o” words, specific calorie/weight numbers, etc. Unfortunately, most weight science is still being conducted with the assumption that higher weights are a problem/disease. “Something I’ve been wondering about in all the reading I’ve been doing about weight loss is about weight gain. It seems clear that long term weight loss is maybe not quite impossible, but nearly. I’ve read lots about how your body wants to keep itself at a predetermined weight. So….why didn’t my body keep me at some previous predetermined weight? Like, whenever I was done growing or something. I mean, how does a person gain weight? Some of us gain steadily over our lifetime. Many start to grow in girth when middle age hits and our metabolism slows. I know this is really long winded. I guess the question is how do we gain weight? I mean, not a how-to guide, but how does it happen? If there is some secret set point that your body wants to be, where does that come from? When and how is it determined? If I Can’t Lose Weight, Then How Can I Be Healthy? No matter what brought you here, you feel stuck. If dieting doesn’t work, then what does? If you can’t lose weight, how can you be healthy?